The next generation of the “200-12” project is called the “3-4-5 Gallon Production Maximization” project, or more simply, just “3-4-5.” Participants in the “3-4-5” project apply variable rate irrigation to simulate 3, 4, and 5 gallons-per-minute (GPM) per-acre conditions in side-by-side, production-scale demonstrations. The “3-4-5” participants apply the techniques and technologies used in the “200-12,” and demonstrate their applications under the different levels of available irrigation. In 2015, the first year of the new demonstration, early season rains delayed planting for most participants. Once the crops were planted they had the advantage of a full soil profile, because of the rains and the opportunity for some producers to leave water in the ground for the first time since 2011. 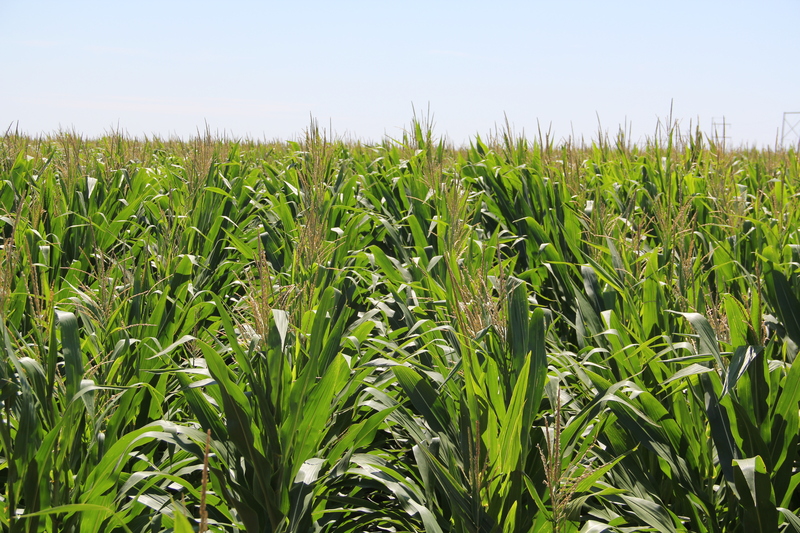 Corn production averaged 15.41 bushels (924 lb) per acre inch of irrigation in the 3 GPM fields compared to 13.80 bushels (828 lb) in the 4 GPM and 13.66 bushels (819 lb) per inch in the 5 GPM fields. Net return from each inch of irrigation averaged $23.47 in the 3 GPM fields, $20.21 in the 4 GPM fields, and $20.15 per inch in the 5 GPM fields. Irrigation averaged 13.53 inches in the 3 GPM fields compared to 15.83 inches in the 4 GPM fields and 17.38 inches in the 5 GPM fields. Corn production averaged 206 bushels (12,394 lb) per acre in the 3 GPM fields, 212 bushels (12,700 lb) in the 4 GPM fields, and 227 bushels (13,630 lb) per acre in the 5 GPM fields. Grant support from the Texas Water Development Board will assist the “3-4-5” project into 2018. For more information about the “3-4-5” project contact Kirk Welch at kwelch@northplainsgcd.org.